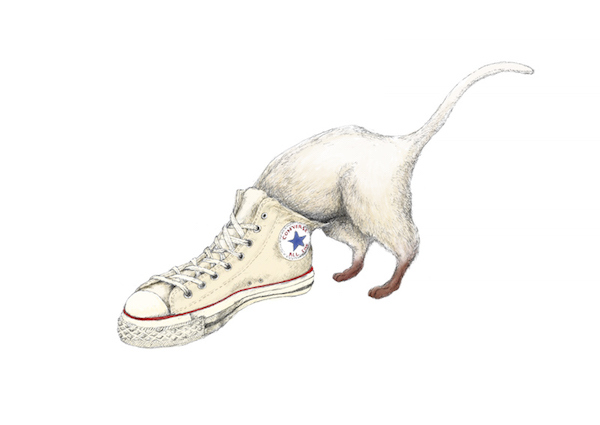 Based in Nagoya, Japan, freelance illustrator Atsushi Takeuchi creates whimsical drawings of people and animals. 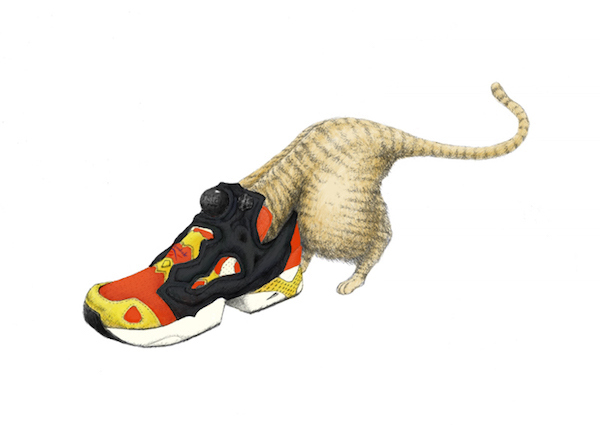 Recently, he shared a new series titled ‘Cats Wearing Sneakers’ that features iconic sneakers from famous brands, including Converse’s Chuck Taylors, Adidas’ Superstar and Nike’s Air Force-1. 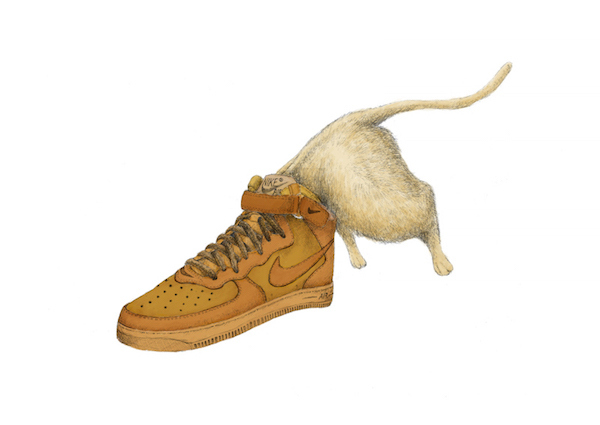 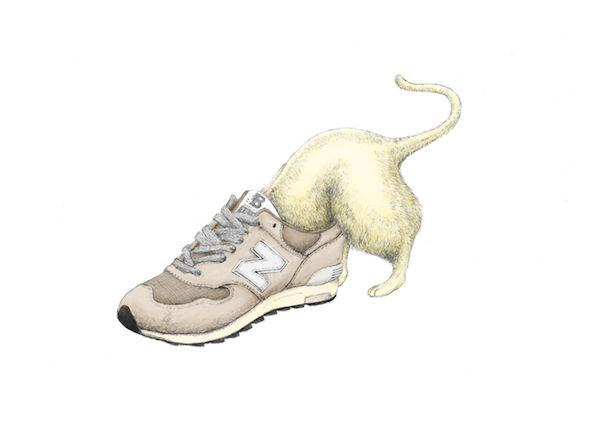 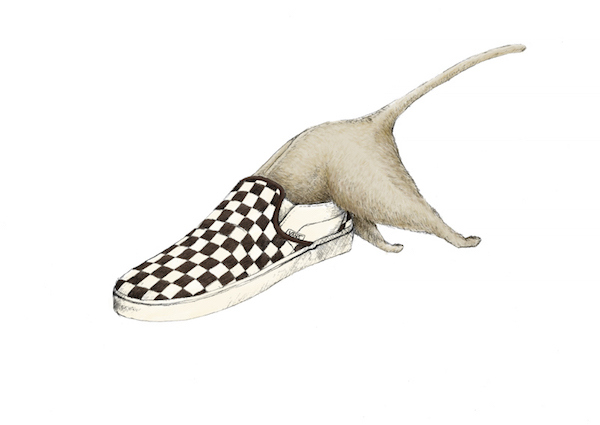 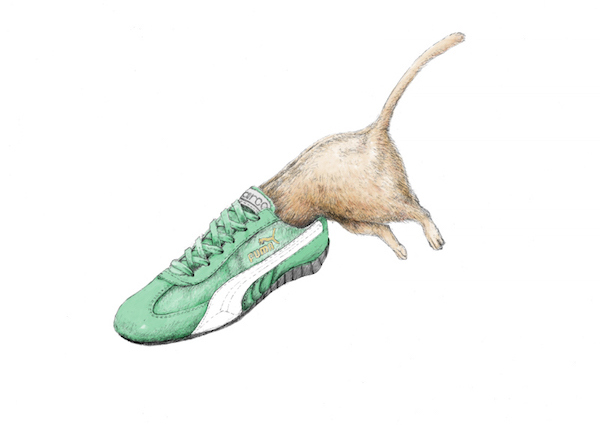 Each image shows a cat with its upper body inside the sneaker, with only its hind legs and tail seen sticking out of the shoe. 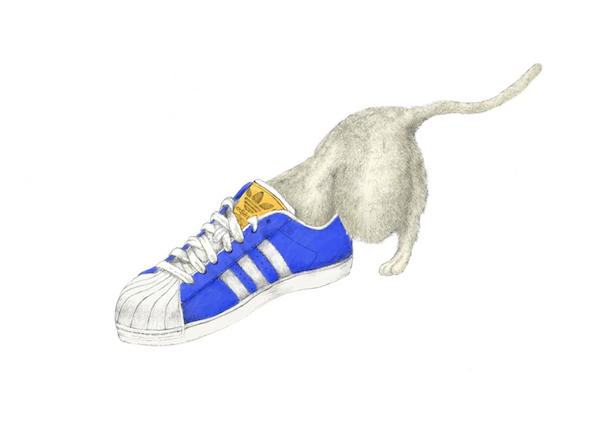 Scroll down to view the rest of the illustrations from this quirky series, and head over here to view more of the artist’s work.